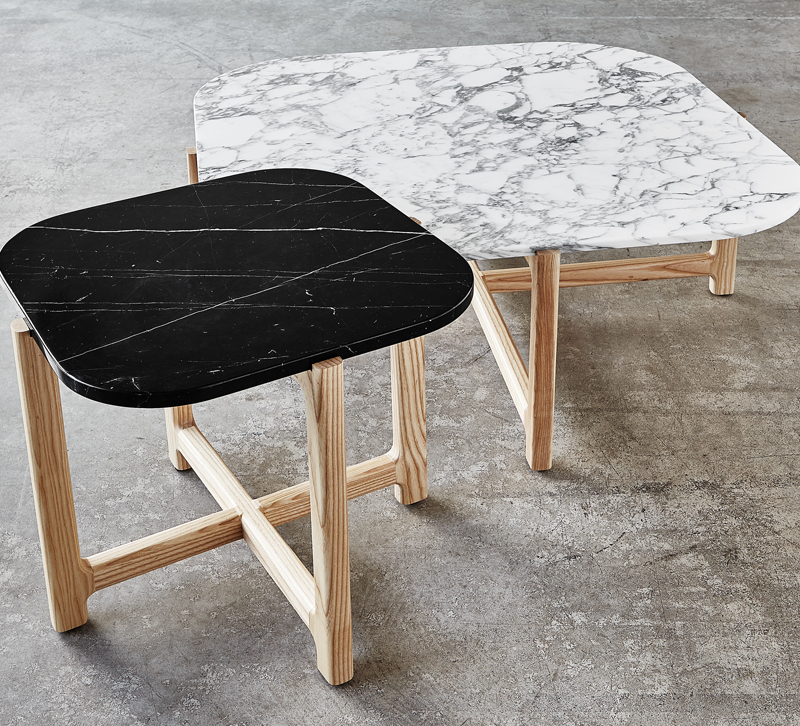 These new designs will have your clients falling in love with marble all over again. Marble has been around since the beginning of time, and thanks to its durability, timeless beauty and unique veining, it’s been a popular choice for home furnishings for nearly as long. Architects and craftsmen have used marble to construct some of the most iconic buildings and monuments in the world, including the Parthenon, the Coliseum and the Taj Mahal. The metamorphic rock might be, literally, as old as dirt, but fresh new marble treatments have us swooning anew. Check out the gallery below for a look at our favorite new designs that feature gorgeous marble in an array of color variations. Paired with brass, blond wood and black or just on its own, these looks go above and beyond what we already love about marble. Currey and Company knows what boys like: the Felice table lamp. 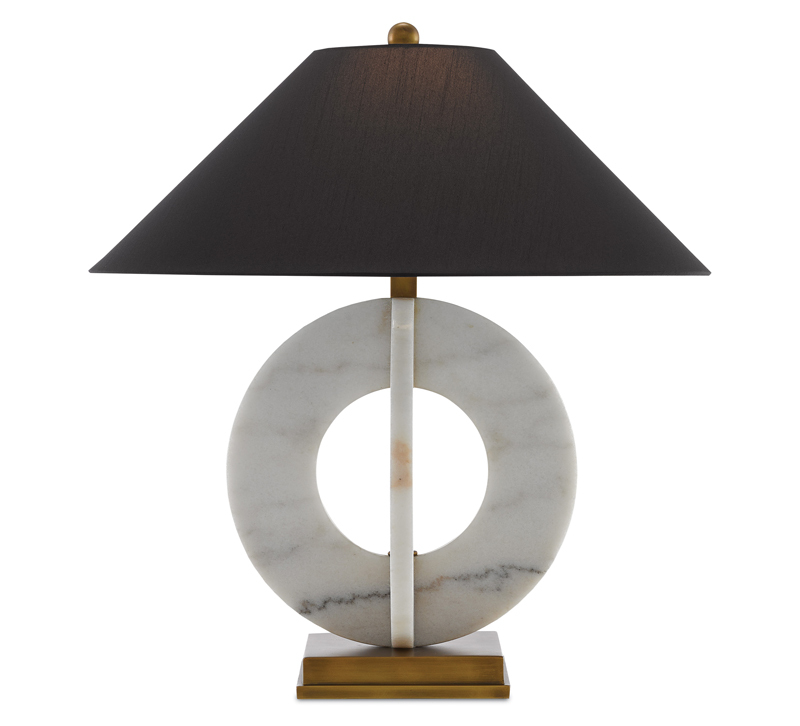 Handsome and angular, we can definitely picture this white marble table lamp in a masculine study. But then, again, we’re all about ditching labels, and Felice looks just as great when it’s balancing out a more feminine-appointed room. Interlocking circles, a brass base and a black shantung shade come together to make this design a look that deserves all the love. 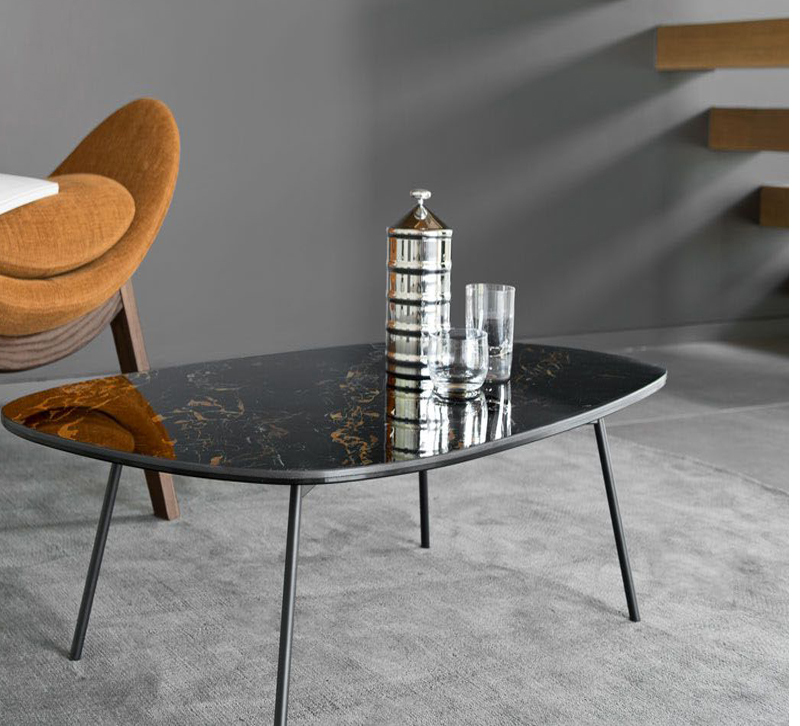 The design table in Marble Black from Calligaris’ Tweet range of accent tables is a 1950s dream. Who cares if it’s not actually marble? Calligaris constructs the pseudo marble finish by fusing porcelain stoneware to tempered glass for a look that makes the grade without all the fuss. If your clients can’t get enough of Tweet, there’s more than enough to go around. The collection includes a variety of uneven, rounded tables in several finishes. Choose your adventure! We’re better together, and so are the Quarry end table and coffee table from Gus Design Group. 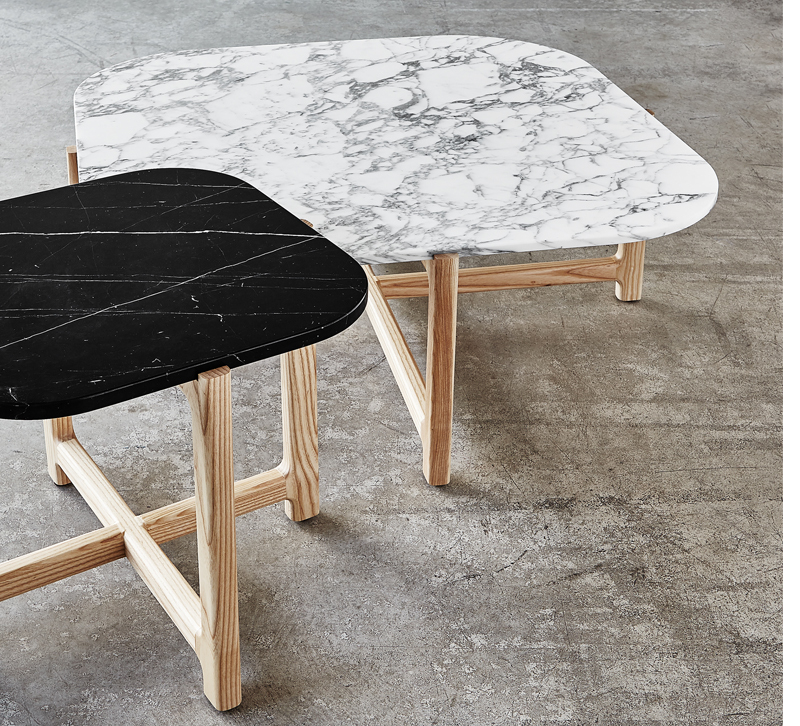 Both minimalist designs showcase the beauty of either black (Nero) or white (Bianca) marble and light wood grain. Style each one on its own or nest the end table with the coffee table for double the fun. Just ask Real Madrid’s football (that’s soccer to us) wonder kid Vinicius Junior: With a name like Vinicius, you were born to stand out. Maison Valentina’s version certainly does. 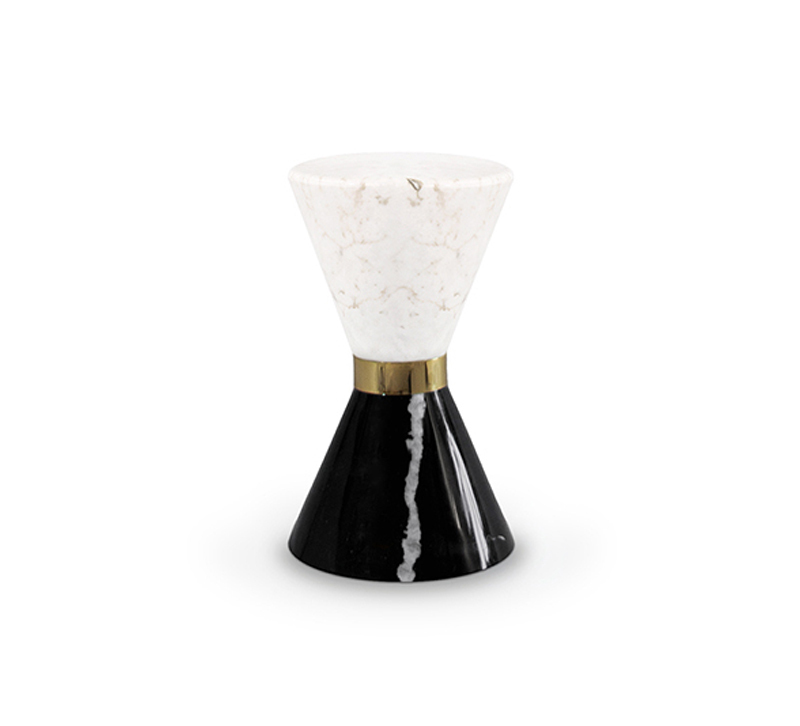 The hourglass-shaped side table features a stunning combo of Nero Marquina marble and polished Estremoz marble separated by a gold-plated brass centerpiece. Vinicius’ sleek shape stands out particularly well in a minimalistic modern interior or as a counterpoint in a dramatic, brightly colored space. 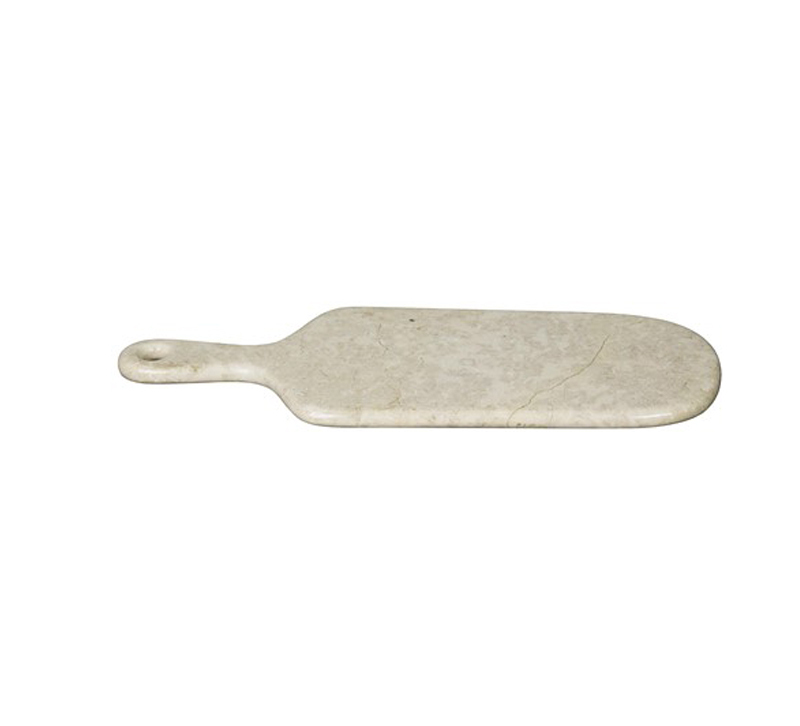 Do your clients need this marble chopping block from Noir? Probably not, but — as we all know — the best home furnishing mixes are all about the gorgeous (and sometimes unnecessary) details. This kitchen beauty, made from white marble, is an easy way to add elegance to a farmhouse kitchen. What’s your favorite new marble design? Share with us in the comments.